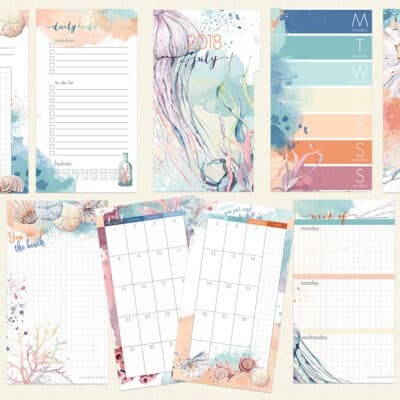 Today I want to do a quick review of my January Planner set up. What I loved, what I plan on using next month, what I want to improve on and whether there was anything I wasn’t happy about. I include a video at the end of this post walking you through my entire set up as well as candid comments about each page and section. The last few months, I have been using a flip out divider from TypeAforAlexa that I really love. 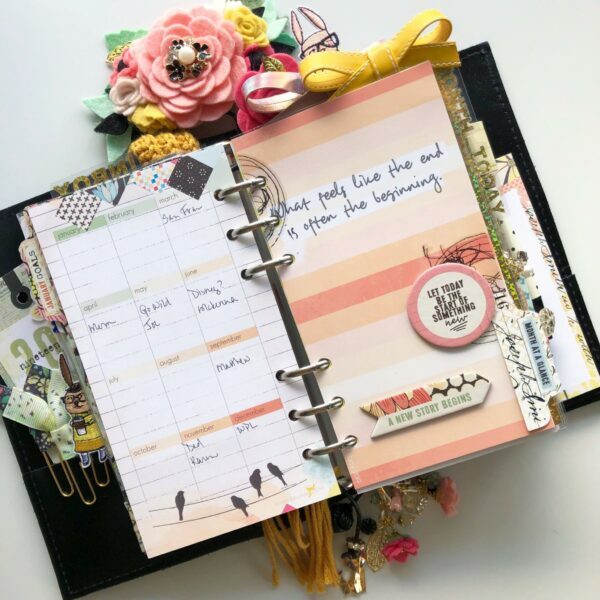 It has created an inbox system for me that I reuse each month with each planner. 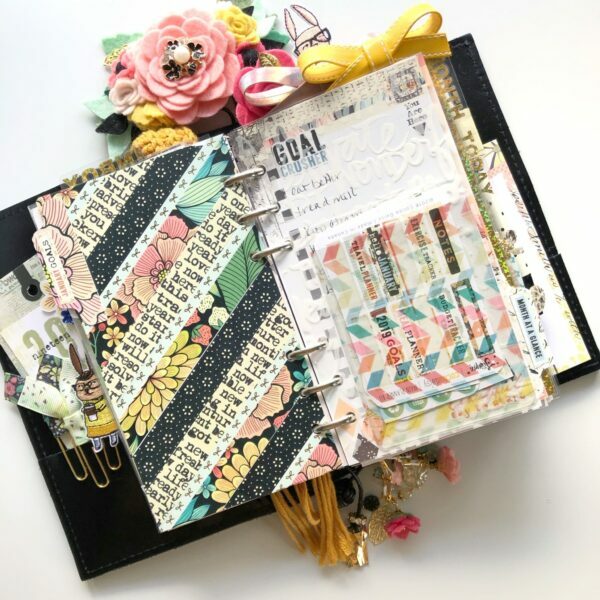 I have a spot for my sticky notes, and it has a fold out that allows me to both hide personal notes (when my planner is open) and quickly tuck receipts and papers while I am on the go. 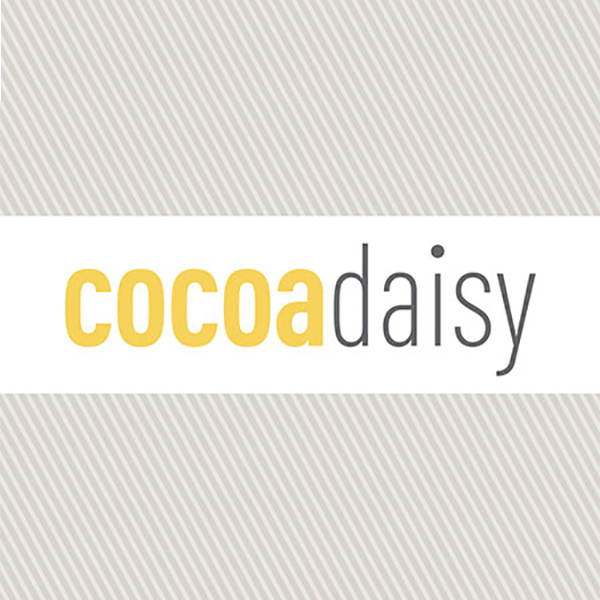 I also love the ingenious “cover page” from Cocoa Daisy that has a built in tab for each month. Not only is it decorative it is very functional! 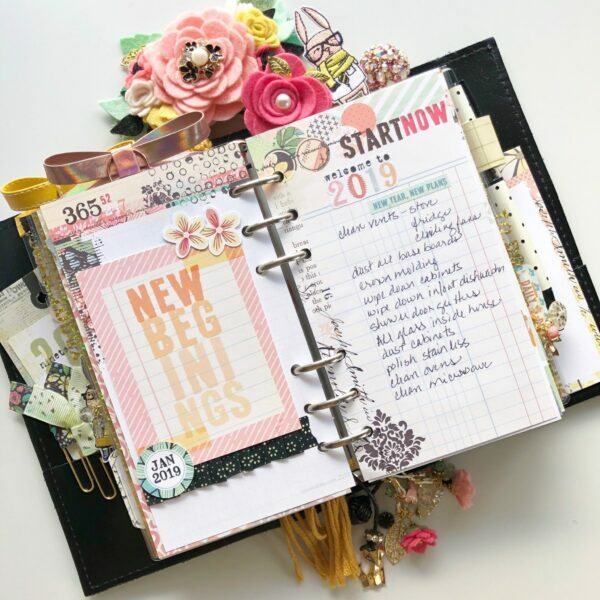 For January I set up a New Year’s Resolution page which I will not need every month but I like the idea of having a reminder each month otherwise these resolutions will be forgotten quickly! So this is something I will be working to incorporate in the following months. 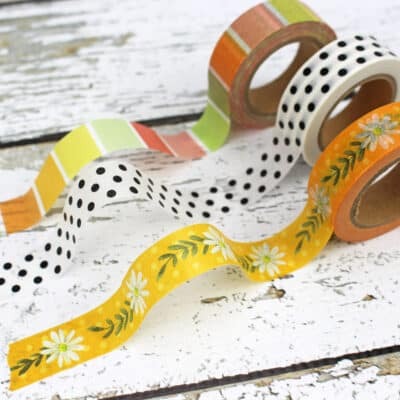 I love when sticky pockets are included! This month I adhered one to an acetate that I had in my stash. I plan to reuse it whenever the colors coordinate with upcoming kits! 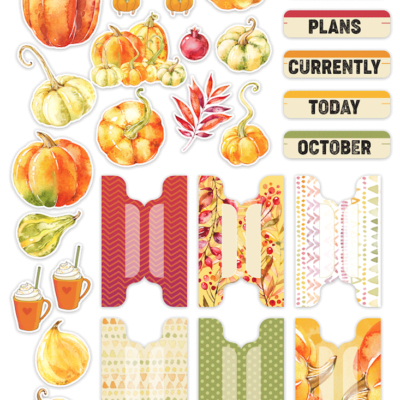 This calendar page works well for me for future planning. 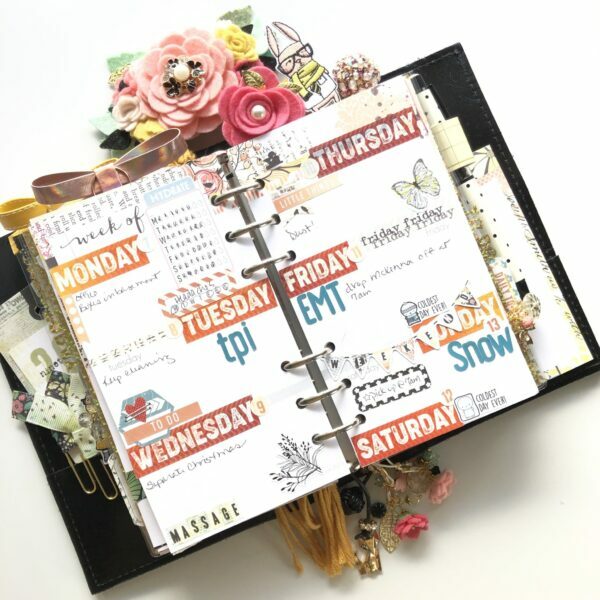 I still prefer to use a monthly calendar that has a full year that I can transfer to each set up so that I can refer to the past or future when needed. 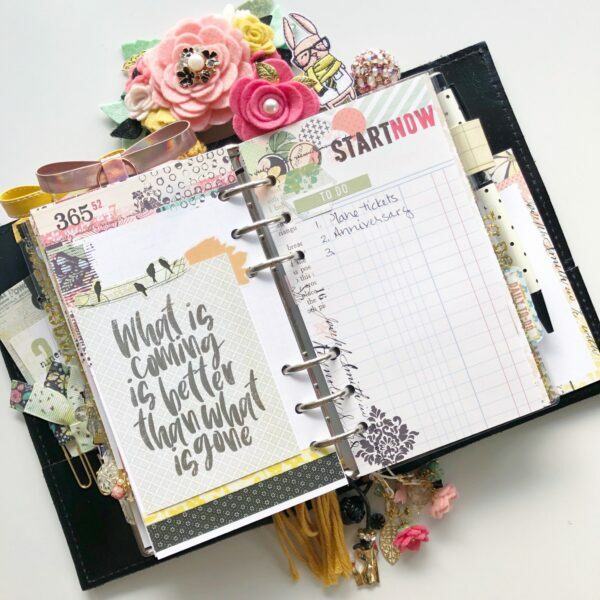 This dashboard has my “One Word” for this year and again, I want to incorporate it every month. I have made a practice of writing my daily gratitude on the colorful weekly overview pages. This I will continue! 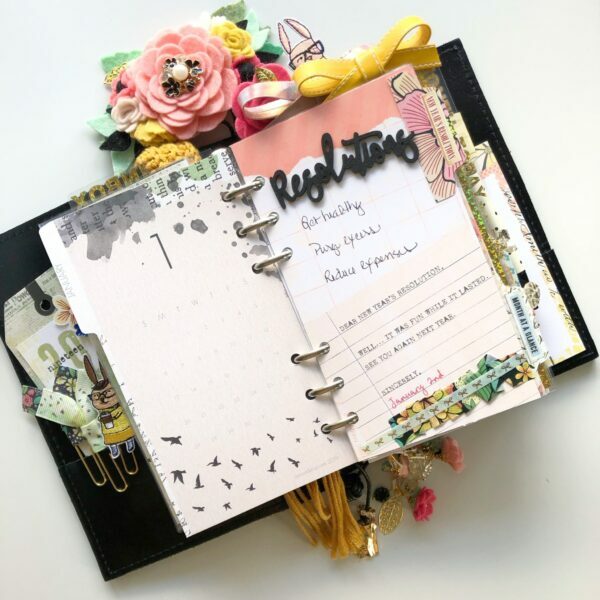 Previously I was adding my memory keeping on the “blank” pages in my planner but now that Cocoa Daisy has developed the TNMK in the standard size I have moved my memory keeping to these (flips and photos to follow soon). 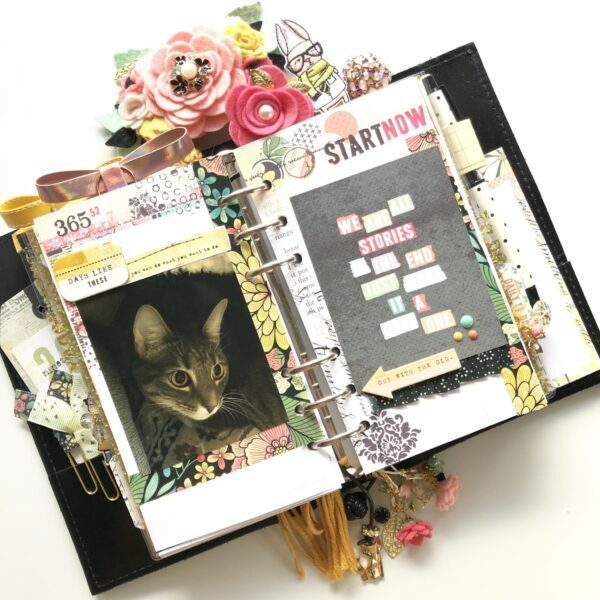 This month I started thinking harder about creative ways to use these pages. I quickly realized that I had plenty to fill up these pages! I used this page for what I am currently reading, watching and listening to. 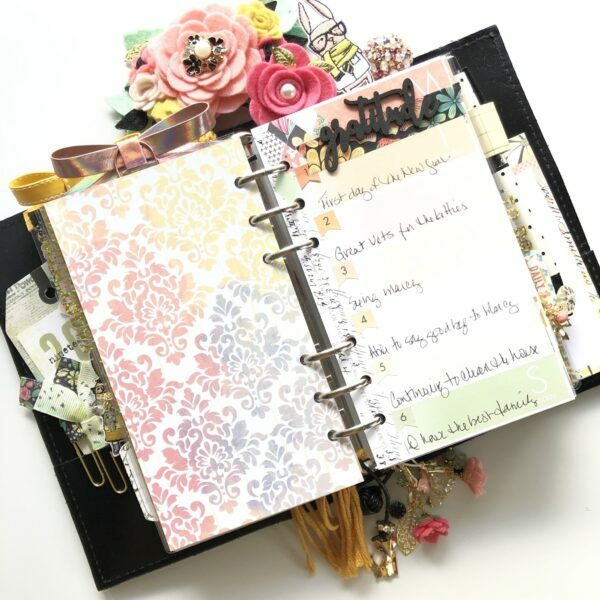 I do not throw away my planner pages and plan on doing another video and blog about how I keep them. I think it will be fun to go back and see what I enjoyed in the past. I love looking photos of my kitten (who makes a quick appearance in my video) and inspirational quotes. I have a separate planner for work and do not have a heavy schedule at home so using all 7 days on two pages has been perfect for me. 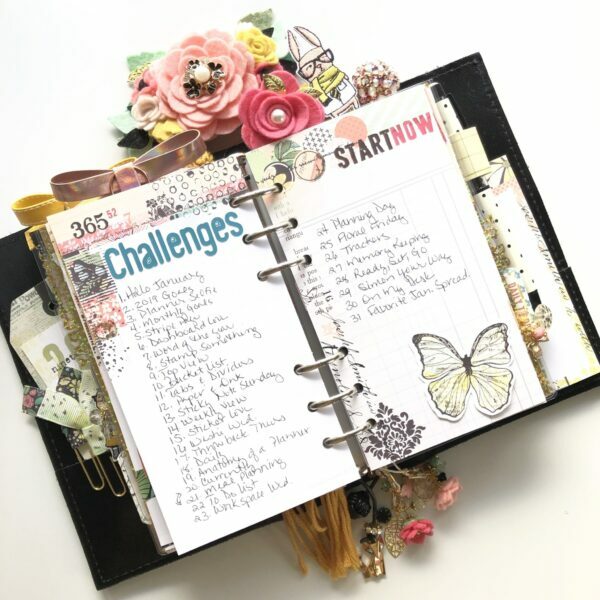 This page has the #cocoadaisyplannerchallenge prompts! I started a list for next month! Perfect! This is the one section I do need to work on. 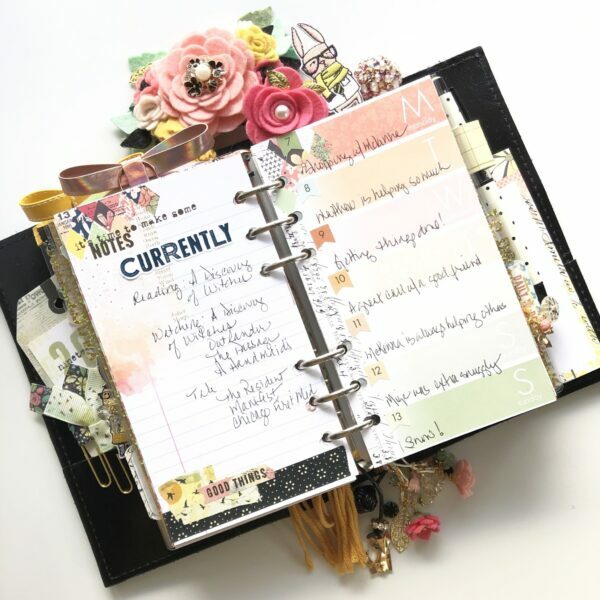 These inserts are perfect for daily to-dos but I still tend to grab my notepad. This is what I want to get in the habit of using regularly. I talk about this a little bit more in depth during my video. 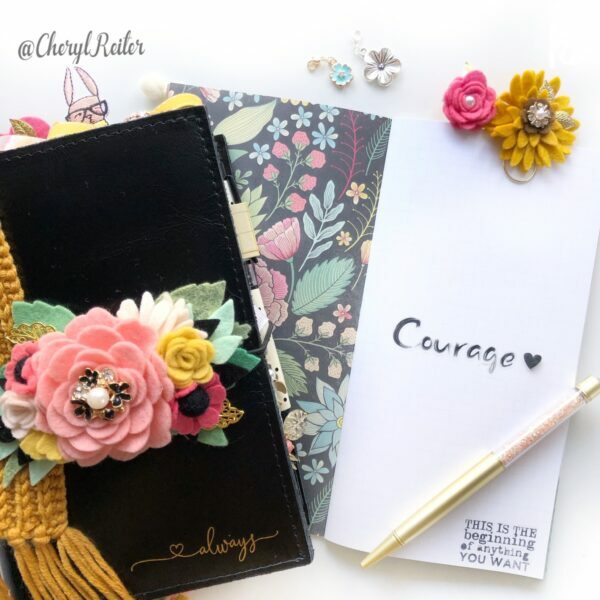 These are double sided with a place for notes, phone calls, scheduling appointments, and your to-do list. Overall, I am very happy with my set up. 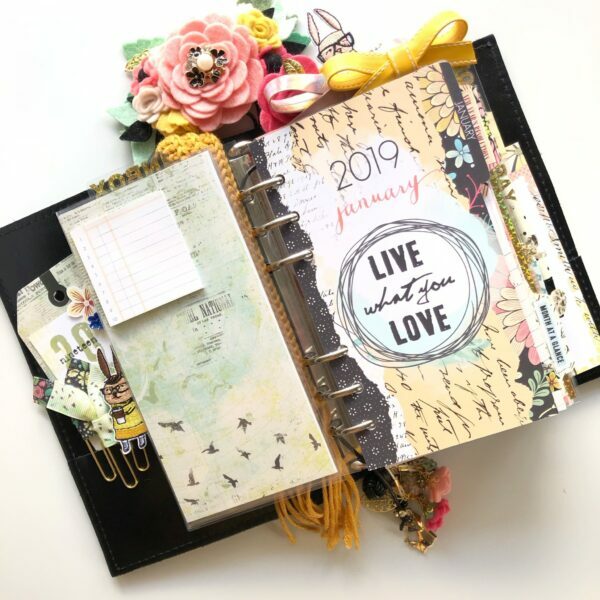 I cannot wait to set up my February Planner this weekend! 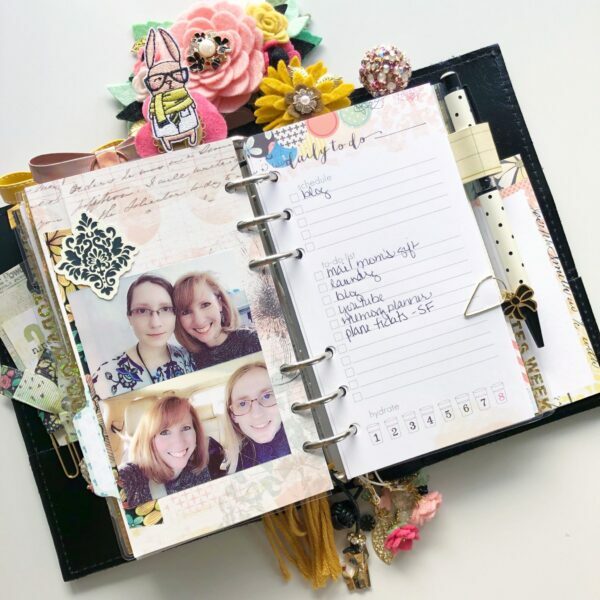 I hope this gave you some inspiration for your planning!